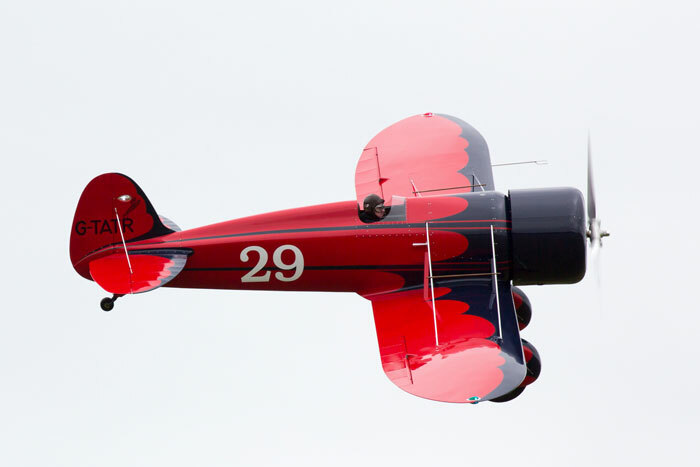 Run by volunteers for the benefit of children's and local charities, the Little Gransden Air and Car show has grown from a small local show to one of the major UK airshows, whilst retaining its friendly, local feel. In 2018 there was an interesting series of displays, blending traditional favourites, such as the Global Stars, with the more unusual, including the Mystery Ship and an L29, Soviet block fast jet trainer. Details of the 2019 show are awaited. The show has been going since 1992, when it started as a car show with a single flying display. Now there are usually 300 vehicles and over three hours of flying alongside other ground attractions. The show is organised by volunteers for the benefit of Children in Need and local charities. Amongst the organising team are David Poile MBE, Heather Lowe, renowned pilot Mark Jefferies, John Jefferies and photographer Darren Harbar, under the guidance of event organiser John Swain. On the ground expect about 80 traders and exhibitors showing and selling not only aviation and motoring goods but also artwork, antiques, collectables, crafts and clothing. Use sat Nav SG19 3BP until you get close, but ignore the sat nav in favour of local directions signs as soon as you see them. There are links to route planners in the Travel Advice column if you prefer to plan ahead or don't have sat nav. The nearest station is St Neots, which is accessible by train from Peterborough (about 20 minutes) and London. St Neots is about 12Km from Little Gransden. The International Hotels Group have a Holiday Inn in Huntingdon, about 11 miles away. There are also Holiday Inn and Holiday Inn Express hotels in Cambridge and Bedford between 11 and 14 miles away. There are two Premier Inn hotels in St Neots, about 9 miles away, and more in Cambridge, which is a little further.